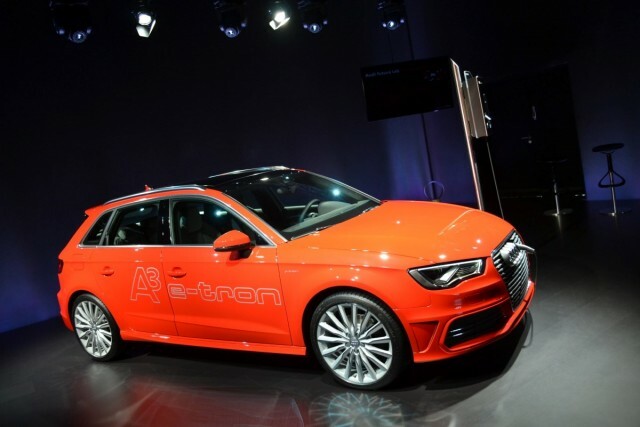 "We're proud the Audi A3 e-tron doesn't look like an electric car." If Audi is truly serious about electric vehicles, that probably isn't the phrase we'd have chosen to prove it, while showing off its new plug-in hybrid A3 model. But then, the Ingolstadt automaker might be on to something--for every customer that wants their electrically-powered car to stand out from the crowd and inform the world they're driving a green vehicle, there are plenty more who'd rather not shout about it. And while the bright red A3 e-tron looked shiny and sophisticated in Audi's carefully orchestrated launch environment, out on the road it'll look very much like any other A3. Few will know just how different it is under the skin. Audi's prose might still have hinted at an underlying cynicism in electric vehicles, but the car's engineering suggests anything but. Unlike the original A3 e-tron prototypes, and indeed most other e-tron concepts over the last few years, the production vehicle is a plug-in hybrid, rather than a battery electric vehicle. In the nose you'll find a 1.4-liter, four-cylinder turbocharged gasoline engine, working with an electric motor. Together, they produce 204 horsepower and a punchy 258 pounds-feet of torque, much of which is developed usefully low down. It's sent through what Audi calls its e-S tronic transmission--essentially Audi's standard dual-clutch automatic, with 75 lbs of electric motor sandwiched between the car's dual-mass flywheel and clutch. The setup is remarkably compact. 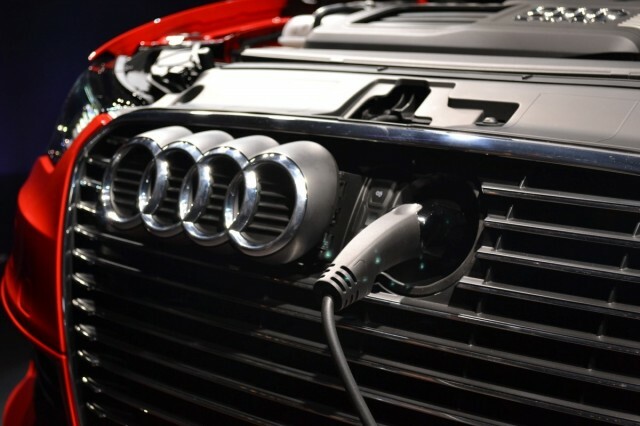 Audi moved the engine further to the right of the engine bay (or the left, if viewed from in front of the car), the electric motor and transmission sitting beside. Much of the car's low-revs power stems from the electric motor, with the gasoline engine taking over at 2,200 rpm as it creeps into the meat of its torque band. Lively acceleration is therefore a given, the 0-62 mph sprint dealt with in 7.6 seconds and only running out of steam at 138 mph. Battery power alone can be used up to 80 mph. 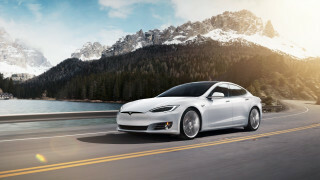 Braking is almost entirely done using the motor's regenerative resistance, though hard braking will rely on friction brakes, as in most electric vehicles. 96 lithium-ion cells sourced from an external company make up the A3 e-tron's battery pack, though everything else about the battery has been developed and constructed by Audi itself. It weighs 275 pounds, a weight reduced with extensive use of aluminum, and liquid cooled to an ideal 77 Fahrenheit. Trunk space is essentially unaffected by the battery's location (and the gas tank has been moved forward, now over the rear axle). The pack is rated at between 250-400V and has 8.8 kWh of capacity, enough for around 30 miles of range on the European cycle. With 10.5 gallons of gasoline also available, total range is said to be 584 miles--though again, this is on the more optimistic European fuel cycle. Bank on around 460 miles or so once the e-tron is EPA-rated. Audi's thorough engineering shines through in some of the e-tron's details. Most have been seen before on other vehicles--a hold mode for the electric range, ensuring zero-emissions travel is available when needed, or a gliding mode that de-couples the engine, motor and transmission for resistance-free rolling. Like the Volvo V60 Plug-In Hybrid we tested recently, the A3 e-tron also features a "charge" mode, though it wasn't badged as such in the Volvo. In this mode, the car will drive on gasoline alone, but some power will be used to charge the battery at the same time. While this no doubt has an effect on gasoline efficiency, it allows you to fully charge the battery while driving, allowing you to use the full battery capacity more than once per trip. Knowing that the gasoline engine in a plug-in hybrid is often called upon only in high-load situations--potentially damaging, if the engine is not already warm--the e-tron's 1.4 TFSI unit features several protective measures, such as modified cylinder liners, tougher piston rings, and an oil quality sensor. It even brings new meaning to the term "smart charging". Most electric cars allow you to program a time for charging, to make use of lower overnight tariffs, for example. The A3, as you'd expect, also does this, for its 3h45m full charge time at 220-240V. But you can also program in a time when you next expect to drive the car--7 am for work the next morning, for example. To take account of this, the car and charger can deliberately stop short of a full charge during the normal charging process, topping up the final amount just before you set off in the morning. The heat of charging pre-heats the battery pack to the ideal 77 degrees, ensuring it's already at optimal temperature before your morning drive--maximizing range and battery life. The cable itself connects behind Audi's famous four-ringed badge on the grille. 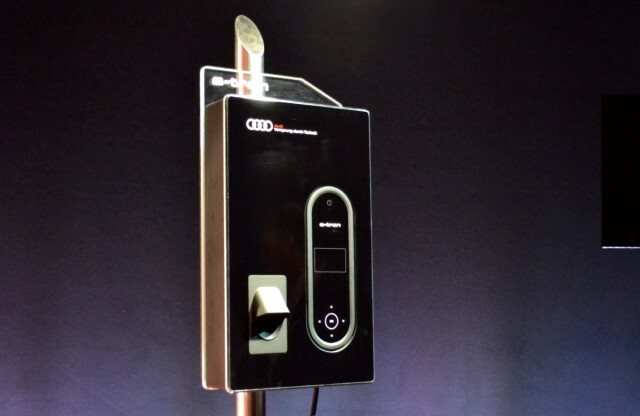 Audi will also provide its own wall box for e-tron buyers (no cost has been announced), as well as sending an electrical expert to your house to ensure it's suitable for said wall box. The company hasn't yet picked an electrical partner for carrying out these checks, but this will be announced before the car's U.S. debut in 2014. That's right, it's coming to the U.S.--and while an official launch date has not yet been announced, it'll mean Audi A3 buyers have gasoline, TDI diesel and battery-powered options in the new A3. Those buyers will get to decide for themselves if the A3 e-tron is "sporty like every Audi" and offers "the best of both worlds" and "no compromizes", other notable soundbites from Audi's presentation.